Indian playback singer Kanika Kapoor is best known for her work in Bollywood films. Her chart-bursting songs include “Chittiyaan Kalaiyaan”, “Desi Look”, “Nachan Farrate“, “Da Da Dasse”, “Luv Letter” and many others. Beginning her career in 2014 with the film Ragini MMS 2, she received her first Filmfare Award for the song “Baby Doll” from the same film. She mostly sings for Sunny Leone in her films. Kanika Kapoor was born on the 23rd of March 1978, in Lucknow, Uttar Pradesh, India. She’s currently 41 years old. 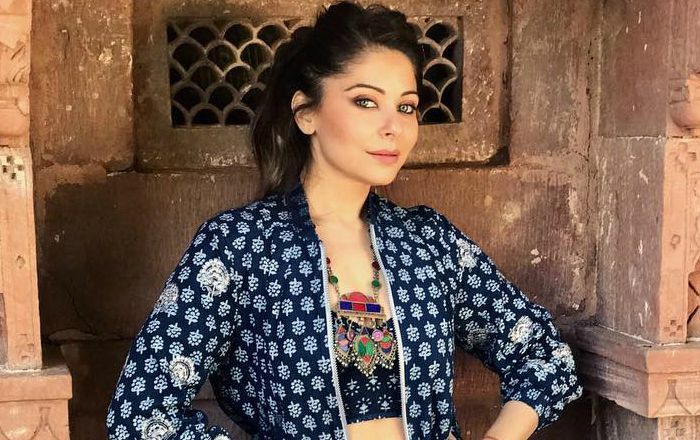 Kanika Kapoor is the daughter of Indian entrepreneurs, Rajeev Kapoor and Poonam Kapoor, who owns a boutique. Kanika Kapoor attended Loreto Convent in Lucknow, Uttar Pradesh. She received her Masters in Music from Bhatkhande Music Institute in Lucknow. Kanika Kapoor married Raj Chandok, an NRI businessman, in 1997. Together, they have three children, daughters Aayana and Samara and son Yuvaraj. The couple separated in 2012 and then she moved to India to stay with her family. Their divorce was finalized in 2012 and she holds custody of her children. As a singer, Kanika Kapoor debuted in Bollywood with the song “Baby Doll” for the film Ragini MMS 2 in 2014. She earned a lot of acclaims and won several awards, including the Filmfare Award for Best Female Playback Singer. She hasn’t appeared in any TV series apart from talk shows. In 2016, she was made the brand ambassador of Swiss Watch manufacturer 88 Rue du Rhone, an independent brand by Raymond Weil. Kanika studied classical music under musician Pandit Ganesh Prasad Mishra from the age of 12. She used to accompany him in classical concerts. She has also been trained in Kathak. She appeared on All India Radio when she was 15 years old and used to accompany bhajan singer Anup Jalota in his shows. In 2012, Kapoor released the music video “Jugni Ji”, featuring Dr. Zeus. She often collaborates with other Bollywood singers for concerts and live shows. In 2014, she went on to tour across North America, entitled “SLAM! The Tour”, in which she performed alongside Shah Rukh Khan and Deepika Padukone. She has won several awards for her work in Bollywood films throughout her singing career.